Chic and Charming: Boudoir Betty Holiday Giveaway! I have some really fantastic offerings over at Boudoir Betty this holiday season and several really great holiday sales and discounts. 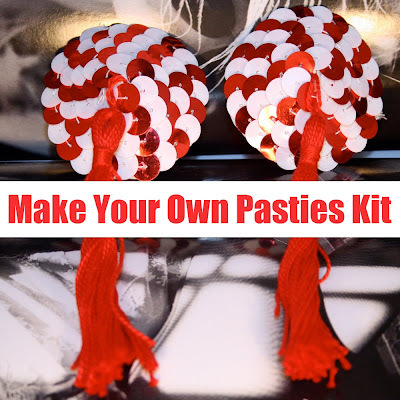 I am especially loving the "Make Your Own Pasties Kit." I'm giving away my make your own pasties kits to three Chic and Charming readers. 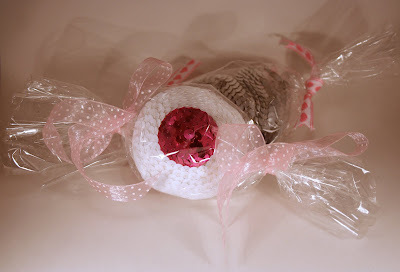 To enter, just leave a comment (just one per person) on this post telling me your favorite pastie color combination. Winners will be selected by a random drawing on December 2, 2009. Feel free to spread the word, anyone who posts about the giveaway on their blog will get an extra entry in the giveaway (just leave a second comment linking to your post). Just for Chic and Charming Readers: Free giftwrap, just enter "Have a Chic and Charming Holiday" in the message section of your order. I love blue and gold. I'm going to have to go with the red and white because the red makes it sassy and the red and white together are perfect for a fun xmas treat! Hot pink & black, naturally!